With the standard bridle I struggled with multi lazies. Also cascade backspins were hard. Tried the a normal turbo. This improved but had reasonable pull. This reversed turbo is wide in fade positon and narrow in backflip. Altough the bridle setting is low pull is ok. The low setting provides nice yoyos. 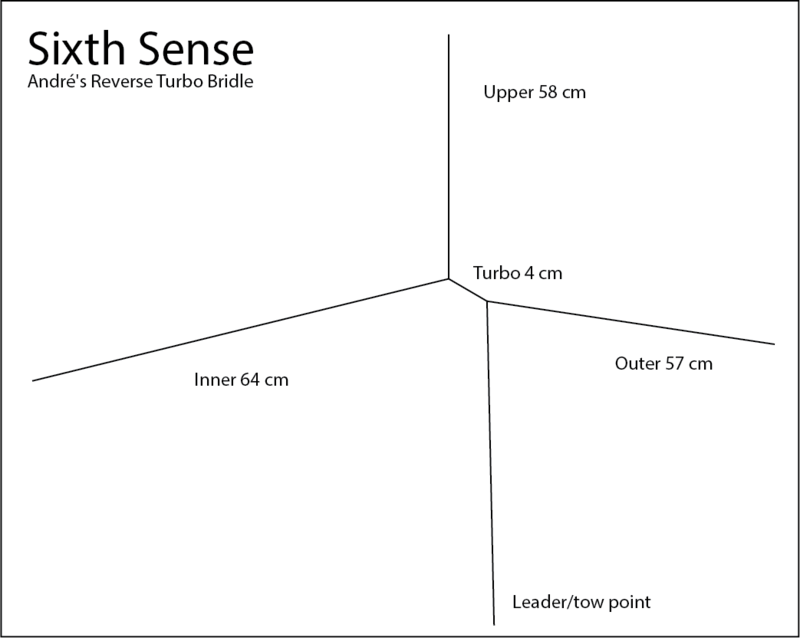 Turbo bridles in general provide constant speed. I like that too. With the STD all tricks are there. Yofade, crazycopter, flicflacs, taz, multi lazies, backspin cascades, cometes. On the UL and HW the taz is harder but is there. Precision with this bridle is good. Change UL length according wind speed. © 2019 KARELOH.COM. All rights reserved.